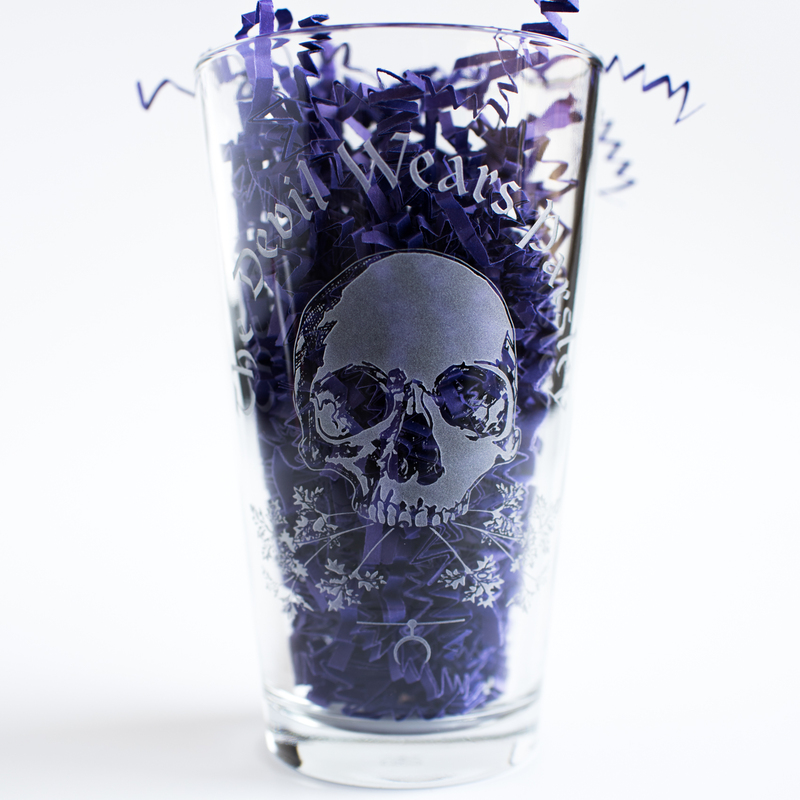 Class up your glassware cabinet with this righteous Devil Wears Parsley pint glass! 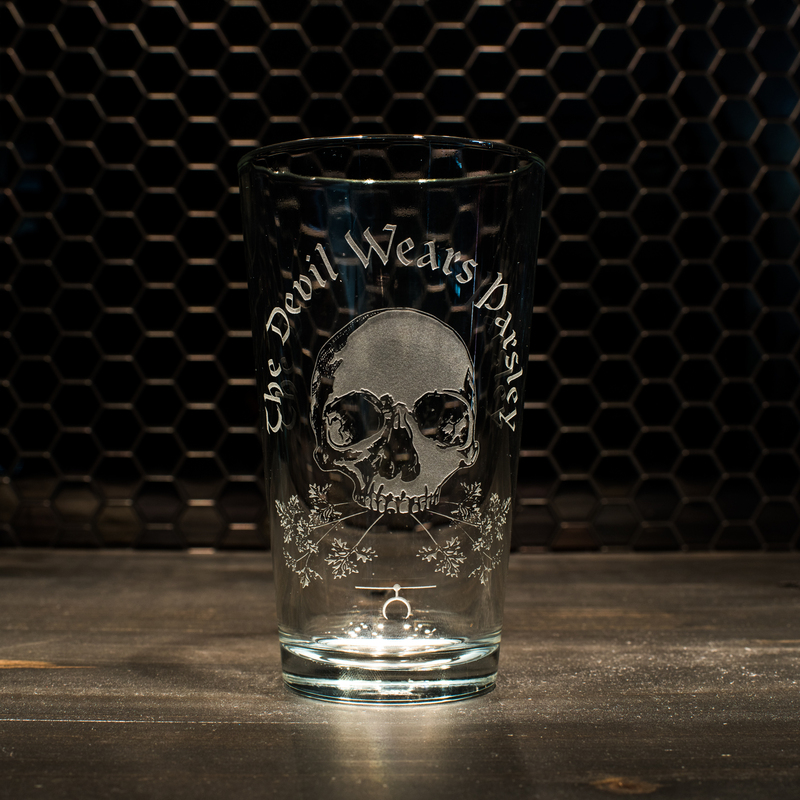 Custom etched by a local artisan in Temecula, CA, the graphic will never wash away or fade – it's become a part of the glass itself! 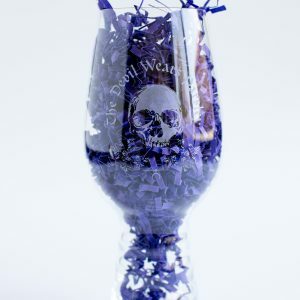 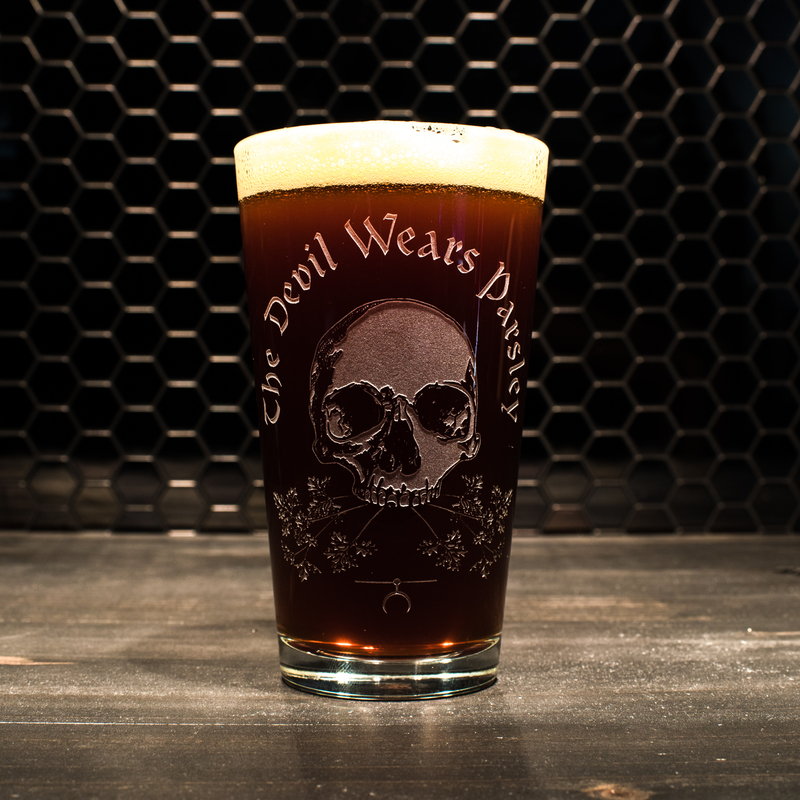 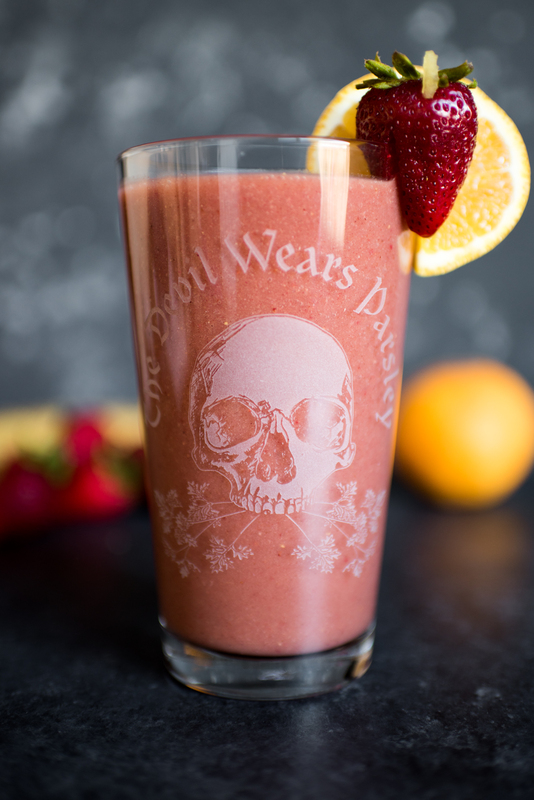 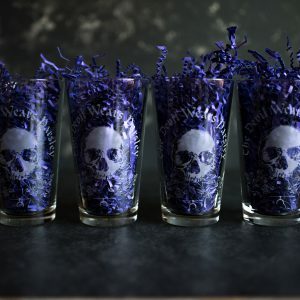 Class up your collection with this custom Devil Wears Parsley pint glass!